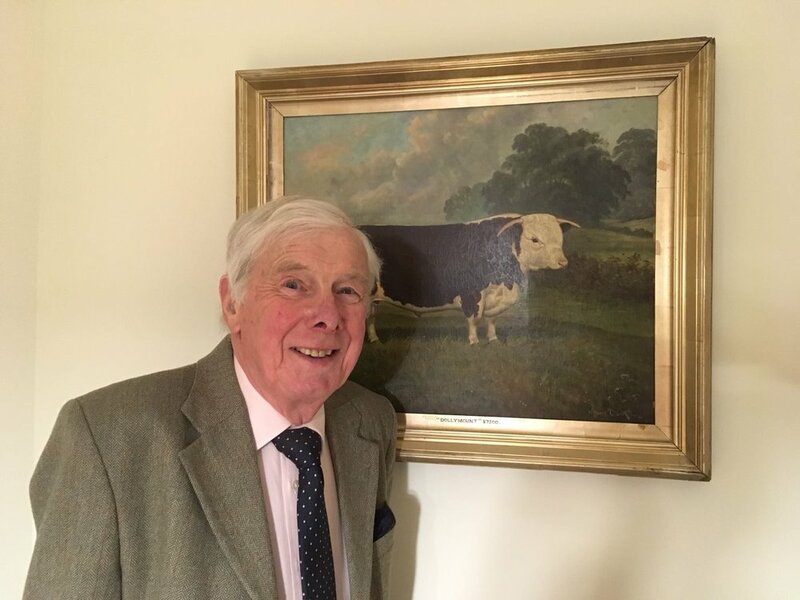 In this talk, Julian Gallimore will recall a compendium of anecdotes, observations and revelations from a career spanning 46 years as an agricultural auctioneer across England, Scotland and Wales, much of which was at the Old Cattle Market in Hereford. In tandem, Julian will talk about the love of his work, Hereford Cattle, and their unique virtues which have stood the test of time for over 200 years. The talk is for anyone who has experienced the thrill of the auction, in agriculture or otherwise, for those intrigued by the inner workings of an auction house or curious about the techniques used in bid calling. Why do auctioneers talk so fast and why the rhythmic monotone? What do they actually say? Julian elucidates this vital link in food journey from farm to fork and gives a first-hand account the drama leading up to the final bid. Julian was born and bred in Herefordshire. In his formative years, he accompanied his father, also an auctioneer specialising in Herefords. In 1960, having decided to follow suit at Russell, Baldwin and Bright, Julian set out with his father and together they travelled across the country to sell at markets and on-farm. In 1963 he qualified as an Auctioneer and Estate Agent and later became a Fellow of the Royal Institution of Chartered Surveyors. Throughout, Hereford market was a regular haunt for him where he sold sheep or cattle at the weekly auctions. He rose through the ranks of Russell Baldwin and Bright Markets to become Chairman and with the decreasing popularity of the breed from the 1980’s until a resurgence following the Foot and Mouth Disease outbreak in 2001, worked for insolvency practitioners, was an arbitrator appointed by the Lord Chancellor for agricultural disputes, and carried out estate management and other professional work. He retired in 2006, when, as luck would have it, the demand for Hereford Cattle was picking up and a new Market in Hereford was becoming more than a pipe dream. On his retirement, Julian became chairman of Herefordshire Country Fair, a post which he relinquished in 2017. There will be a party after the talk with free drinks and canapés. The Ethelbert Consort was formed in 2013 and has expanded ever since from a quartet in its earliest performances to a pool of semi-professional and professional singers from Herefordshire and the surrounding area. Founded by its current Musical Director, Jon Weller, the group has performed in Hereford Cathedral, Worcester Cathedral and St Mary's Priory in Abergavenny as well as at private functions and parties. Specialising in everything from Byrd to The Beatles, the group's musical education is generally through singing in church and Cathedral choirs, but as well as featuring sacred music in their repertoire, they also include folk songs and pop arrangements to provide as wide a range of music as possible - hoping to satisfy everyone's needs! The programme this evening will include some of the finest choral music by English composers across several centuries, a handful of madrigals and then an entertaining finish of well-known and popular song arrangements. Since the twelfth century, the Church of St. Thomas à Becket has stood in a remote field in the tiny village of Huntington, high up in the hills above Kington. For nine long centuries, it has witnessed generation after generation of people come and go through its ancient door. The church must have witnessed everything, from the time it was filled with corn for the tithe, to countless weddings, baptisms and burials. Yet, it is only one of about nine churches left in the country to be named after the illustrious Archbishop Thomas Becket, who rose from middle-class stock to become the friend and later enemy of one of the most powerful kings in Britain – Henry II. So why was this remote outpost church named after the archbishop? Rumour has it that it was built by Richard le Breton, one of the knights who slaughtered Becket in Canterbury Cathedral. 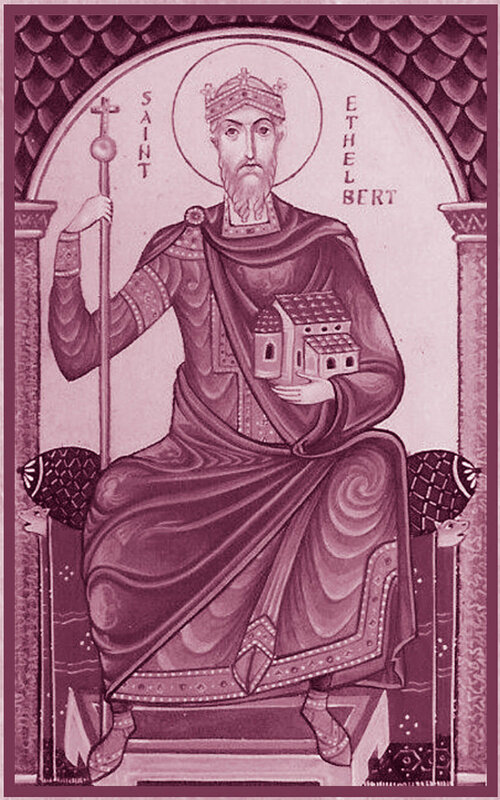 It is said that Breton had local connections, so he built the church in penance for what he and other knights did to Becket. Was this true? William Moyle from Huntington, has just written a book on the subject and tonight he will launch it by telling the whole story of the life of the church’s patron saint, Thomas Becket. It is a story of ambition, power, excitement, disasters, corruption, betrayals, exile, battles with his king, Henry II and his beautiful wife, Eleanor of Aquitaine. The stories make a riveting thriller of medieval times. The final legendary night on December 29th 1170, when as Archbishop of Canterbury, Becket bravely walks into Canterbury Cathedral, only to be slain by the four knights of Henry II, will be told in great detail. The surprising aftermath will also be explained and above all, the reason why the little church in Huntington should bear his name, will be revealed. This is an evening which should not be missed. When exactly you should boil the kettle during the Royal wedding. Brought up on the family farm in the centre of Huntington, Felicity was educated at Lady Hawkins' School, going on to study at Oxford University and Imperial College London. She has eight years' experience working in the renewables sector, specializing in energy storage. Felicity provides strategic and technical consultancy for pioneering battery projects and chairs the UK Electricity Storage Network's Markets and Revenues working group. The internationally acclaimed Deborah Moggach, author of ‘The Best Exotic Marigold Hotel’ and ‘Tulip Fever’ as well as 18 other books, will be telling the story of her life in relation to her success as an author. She has also adapted many of her novels as TV dramas and has also written acclaimed adaptations of other people’s work, including Nancy Mitford, ‘Love in a Cold Climate’, ’The Diary of Anne Frank’ and the film ‘Pride and Prejudice’, starring Keira Knightly, for which she was awarded a BAFTA nomination. Now happily married and living in Presteigne, she will tell of the story of her Hollywood visits to Steven Speilberg , who originally bought ‘Tulip Fever’ and the bizarre experiences she witnessed there. The film was subsequently made by Harvey Weinstein and is due to be released in February, starring amongst others, Judi Dench. The stories of life in Hollywood to the writings of her many novels, tackling family life, divorce, children and the confusions and disappointments of relationships, will fascinate listeners. Deborah has had a rich and varied life and her talk will be full of amusing anecdotes and startling surprises, which one could only have believed would have happened in Hollywood and as her life as a famous author. The Friends of St. Thomas a Becket are delighted to welcome Jemima Phillips as the centre-piece of their 2017 events. She is winner of numerous awards and accolades, with an impressive list of qualifications; Jemima is one of the outstanding harpists of her generation. An exciting, versatile and innovative performer equally at home on acoustic and electric harps she is in great demand because of her creativity, musicianship, unique style and friendly personality. Jemima graduated from the Royal College of Music with a BMus(Hons), an MMus(RCM) and by the age of nineteen had gained Fellowships of Trinity College London and the Royal Schools of Music. She has performed extensively throughout the UK and has been featured on TV by BBC, GMTV, ITV and S4C Wales. Internationally she has played in Japan, France, Russia, Switzerland, Spain and the U.S.A. Appointed official harpist to HRH The Prince of Wales in 2004, her three year tenure ensured several memorable highlights, including performing at his wedding to the Duchess of Cornwall, playing at the reception hosted by Her Majesty the Queen for the 2012 Olympic Bid, featuring in the first public concert recorded by Classic FM which was broadcast following the Queen's Speech on Christmas Day and premiering the Salvi 'Royal' harp at the Llangollen International Festival. One of the few harpists able to offer full-size concert harp, full-size electric harp and small electric harp, her repertoire spans classical, contemporary, jazz, rock, pop, soul, metal, electro, ambient experimental, film, TV, shows and Bollywood. Her own eclectic taste in music has also enabled her to play, improvise, song write and experiment with a variety of musicians, bands and DJ’s. Following this evening, which promises to suit all musical tastes as above, the evening will conclude with the usual garden party reception in the grounds of Huntington Court, (by kind permission of William and Fiona Shone), where guests can meet and enjoy Jemima’s company, as well as meeting many other friends from all over the area. There will, as usual, be free wine and canapés served. The historian, Allan Lloyd and geologist, Geoff Steel, will be the hosts for a specially arranged and rare visit to Hergest Court, on Friday 9th June, by kind permission of its owner, Mr. Richard Banks. This famous landmark is important in the history of the Welsh Marches. Built in the 13th century as a fortified manor house with moat, it became the home of the Welsh Clanvowe and Vaughan families. Stories will be told of the many legends which still exist today. ‘Black Vaughan’ is likely to have been Sir Thomas Vaughan, who was killed in 1469 fighting for the Yorkists. His grim death and the subsequent horrors will be explained, which is said to have inspired Sir Arthur Conan Doyle, to write ‘The Hound of the Baskervilles’, about the Black Dog of Hergest. But it also became the centre of learning, associated with the 15th century. Welsh Bard, Lewys Glyn Corhi and the Red Book of Hergest. Geoffrey Chaucer, William Wordsworth both had associations with Hergest. There will be tours inside the Court at 4.00 pm 5.00 pm and 6.00 pm guided by Allan Lloyd. Visitors who would also like to go on a guided tour of the motte and bailey with Geoff Steel will learn about the landscape, its geology and architectural origins of the Court. There will be tea and cake throughout the afternoon. Herefordshire’s cross-bench peer, Lord Lisvane, is the former Clerk of the House of Commons – its most senior official, who with his staff of 2,000, effectively ran the House and its workings from 2011 – 2014. He began his career at the House when Edward Heath was Prime Minister, and retired during David Cameron’s Administration (with six other Prime Ministers in between!). He was knighted in 2012, received a peerage on retirement (only the third Clerk of the House to do so) and now sits as an independent Crossbencher in the House of Lords. In his last years at the House of Commons, he worked with the controversial Speaker of the House of Commons, John Bercow. He also featured in the BBC documentary, ‘Inside the Commons’. Lord Lisvane will tell us bizarre and hilarious stories; of odd and surprising facts about Parliament; and explanations of the impenetrable mysteries of a Gothic fantasy palace on the banks of the Thames. Robert Lisvane is an expert but irreverent guide through Westminster's turbulent centuries. Kings and commoners, the great and the not-so-good, statesmen and headsmen are dealt with by withering insults, wit and laughter, and an extraordinary cast of characters, from Charles I to Churchill. Natasha Guttmann, who, with her husband Werner, have had a home in Huntington for 45 years, will tell the remarkable story of her British great-grandparents arrival in Russia, in 1840. She will tell of their success, as they helped build the early structure of Russia, as engineers and insurance brokers. She will tell us of their comfortable lives, and inter-marriage and integration into Russian life and culture. But their comfortable style ended with the Bolshevik Revolution of 1917. Her parents, like scores of others, were forced to flee from Russia with just the clothes they stood up in. She will tell the story of her parents’ struggles as they fled to England and how they had to adapt to a strange land with little money and little English. She will talk of being brought up in two cultures and the advantage of knowing two languages. The illustrated talk will feature music anecdotes and humour, and the evening will be completed with wine and zakuski (canapés) being served. Susi Rice from Brilley, will tell of her turbulent early life, from when her family lived in Berlin before the war, to the present. Susi’s Grandmother died in Auschwitz and her Grandfather died in Theresienstadt Concentration Camps. They were encouraged to go into trains by being told they were to go to an ‘Old People’s Home’. She will talk about her family background and events in Berlin, pre-1933, when the threat of Nazism drove the family from Berlin to Teheran. With a brief return to Berlin, they then fled to Italy, followed by a harrowing journey to England. Susi Weissrock’s brother, sisters and parents, before they left Berlin in 1933. Susi will describe the trials faced by her Mother as an alien when war broke out in 1939 and will give a vivid description of people and events from 1939 until her Mother’s death in 1949, including a description of life in the remarkable refugee boarding school which she and her sisters attended. She will end her talk with “Where we are now”. With the current worldwide political situation regarding refugees, this should be a highly potent talk, from one who faced similar persecutions nearly sixty years ago. Sonia Hammond, the well-known professional cellist from Newchurch and Adrian Crick, a guitarist from Hay, come together to perform an evening of eclectic originality. From completely different artistic backgrounds, they have been developing a repertoire which shows each of their musical traditions through the prism of the other. In another universe, where Bach had wanted a rhythm guitar for his Sarabande, Django Reinhardt wrote burlesque waltzes and the Mexicans sang about snow, it all might have turned out a bit like this programme. The playlist will include some re-imagined Bach, a samba, some curiously arranged folk-tunes, a three-legged polka and an urban blues with background traffic added. The recital will conclude with a full reception at Huntington Court with drinks and canapés. Allan Lloyd, the historian and former Head of Upper School of Lady Hawkins’ School, Kington, will give a fascinating talk on four hundred years of the school from its turbulent foundation to the present day. Who was Lady Hawkins? How did the school come to be founded in 1632? Where did the money come from and why? Who served the school for a combined period of 100 years from 1717 – 1771? Lady (Margaret) Hawkins was the fifth generation of Vaughans to be born at Hergest Court circa 1550. She married Sir John Hawkins, an Admiral of the Fleet and became a Lady of the Bedchamber to Queen Elizabeth I. Having been born and brought up in Kington, she stipulated that from her will, a free school be opened for the male children of the town and thus, the school has been in existence ever since, living through good periods and dark periods. Many new facts will be uncovered which have never been spoken of before. This illustrated and revealing presentation is the result of decades of research by Allan Lloyd, who himself spent forty years serving the school as the longest serving master since 1717. This has resulted in a book by Allan Lloyd of the same title as his talk. This evening promises to be absolutely fascinating, not only for former pupils but the community as a whole, where history is continuing to be made. The historian, Mari Fforde of Clyro, will be talking about the history of ‘Kington Camp’ and how the now crumbling remains of the concrete and brick huts on the Hergest Road, served as a vital home to huge numbers of British, Polish and American troops during the war. Kington Camp housed exhausted, battle worn British battalions who had returned from Dunkirk. It was the site of two vast US military hospitals, where GIs, wounded in the frozen battlefields of the Ardennes and the Battle of the Bulge, were cared for. It was a resettlement base for many Polish military units, who, having fought for Europe’s freedom, found their homeland occupied by the Soviet Union. It also became a home for many who found themselves displaced after the war. Mari Fforde will bring the human stories of the people and their descendants who still live here, to life. Unpublished archive film was recently discovered which shows Kington in 1945. The footage features the Kington Camp military hospital and Hereford on VE Day. An American soldier, Corporal Clarke Morgan, who was posted to the 107th Hospital in Kington in 1944, took this remarkable film. The film shows the hospital in Kington and also features a bus ride to Hereford for VE Day celebrations. Surprisingly the footage is also in colour and shows the US troops packing up to leave Kington and then boarding the Queen Mary for their return to New York. While crossing the Atlantic a huge airship sails overhead. This is caught on film along with shots of the ship pulling into New York Harbour, with the Statue of Liberty standing proud. The footage, described by the Senior Curator at the Imperial War Museum as ‘the stuff of dreams’ has now been acquired by the Imperial War Museum and forms part of their collection where it will be digitised and stored safely. Dame Margaret Anstee lives about five miles from Huntington, at Knill. She gained a Double First in languages at Cambridge University, just after the war. Her maternal roots are in the Welsh Marches, where her mother was born and where she spent her childhood holidays. She has had a peripatetic life, pioneering the access of women to senior professional positions previously exclusively in the domain of men, both nationally and internationally. She was one of the tiny group of women admitted to the British Foreign Service when it was first opened to women. Later she worked for the United Nations for over 40 years, rising to become the first female Under Secretary General. She then became the first woman to head a UN military peacekeeping force. She lived in a dozen countries and visited over 130 on official missions. Along the way she had many adventures and was the last person to see Donald Maclean on the night he defected to the Soviet Union in May 1951. She will give us a fascinating talk on her extraordinary life from her early days in Herefordshire to the present and will intersperse anecdotes of her experiences with reflections on the evolution and present status of the United Nations. Her autobiography, ‘Never Learn to Type’ explains her four decades with the UN and signed books will be available for sale afterwards. The peak of the Summer will bring the Friends of St. Thomas a Becket Church a unique evening led by John Madden, from Newchurch. We are honoured that John has composed a new work for the Friends, which will be premiered at St. Thomas a Becket Church. John will introduce Jess and Evie Price from Brilley. They were both pupils at Hereford Cathedral School and members of the award winning girls choir, Cantabile. They have appeared as soloists in Hereford Cathedral and won prizes at the National Eisteddfod and the Cheltenham Music Festival. They gave a concert at St. Mary’s Church, Hay-on-Wye during the Literary Festival in 2014, to great acclaim. John Madden has been composing since he was 14. He wrote A Song of Creation for the Royal opening of Liverpool Cathedral in 1978, when he was still only 22. His music has also been included in the Christmas broadcast from King’s College, Cambridge. John conducted the Scottish premiere of Paul McCartney’s Liverpool Oratorio. He writes largely to commission and is published by many of the leading music publishers in the world, such as OUP and Novello. He has taught and been Director of Music at some of the country’s leading public schools, is an examiner with the ABRSM and Artistic Director of the National Schools Symphony Orchestra. The recital will consist of popular pieces to please all musical tastes. Well known music by Vivaldi, JS Bach, Haydn and Gluck will delight concert-goers. But the highlight will be the world premiere of The Seasons Psalter, a lyrical song cycle for two sopranos and chamber organ, written specially for the occasion by John Madden. Major General Arthur Denaro was commissioned in the Queen’s Royal Irish Hussars. In his early days he served in Libya, Germany and in the war in Dhofar in Southern Oman. He commanded his tank regiment to liberate Kuwait in 1990/91, for which he was awarded the OBE. He was COS UN forces during the war in former Yugoslavia, after which he was awarded the CBE. In 1997 - 2000, he was Commandant of Sandhurst and became Middle East Adviser to the Secretary of State for Defence from 1997 - 2003. Arthur retired from the Army in 2003 and lives in Herefordshire but has continued his close associations with the Middle East ever since, advising HM The King of Jordan, The Crown Prince of Bahrain and the Amir of Quatar as well as many British companies in the region. He is also Deputy Lieutenant for Herefordshire and an Extra Equerry to HRH the Prince of Wales. We will hear of Arthur Denaro’s early exploits through to his soldiering days, with comments, anecdotes and many amusing stories with plenty of room for questions, debates and discussion at the end. Bob Thompson, whose family have lived at Kinnerton for generations, gives a fascinating insight into his amazing travels researching and documenting equine sports and cultures in Africa and Asia. He meets horsemen, finds out what they do and identifies how these equine activities fit within the broader culture. He is passionate about discovering as many examples as he can before these equine cultures die out. We all know about the popular TV programme, ‘Call the Midwife’. But what is midwifery like today? Huntington's Dr. Joanna Raven will be telling us of the trials and tribulations of the profession both here and abroad. Why are women in many resource poor settings still dying during pregnancy and childbirth? What makes health systems unable to provide the care that women, babies and their families need? What can be done about this? And what are the impacts of different cultural and religious practices on childbirth? Born and bred in Herefordshire, Joanna is a nurse and midwife with 15 years of international experience. She joined the Liverpool School of Tropical Medicine after finishing her Masters in Community Health at LSTM in 2004. She completed her PhD exploring the quality of childbirth care in rural China. She has been a teacher, a programme manager and researcher in Asia and Africa for the last 18 years. She has travelled to the most remote countries of the earth as she teaches midwives the skills of successful childbirth. Drawing on her travel, teaching and research, Joanna will talk about her life-changing encounters in what promises to be a fascinating talk. On Saturday, November 1st, the final event of 2014 of the Friends of St. Thomas a Becket Church, Huntington, will take place in the church. This special concert is to celebrate the re-building of the organ, with sounds as yet unheard, following its restoration by Peter Hughes. The restoration has been made possible from the legacy donated by Mrs. Dorothy Jack and the concert is given in gratitude both for her generosity and for the many contributions made to the church by the Jack family over the years. A plaque to the Jack Family will be unveiled at the event. The Huntington organist Stephen Gilling has been playing this organ for 52 years, when he began with a hand-pumped organ. He and Peter Hughes will be playing popular pieces from Aaron Copland and from Bach to Fauré. In addition, Mai Jones, who is a former actress and was trained with Judi Dench, Vanessa Redgrave and Richard Harris, will be reading amusing and poignant extracts from the best of Dylan Thomas, with Allan Lloyd, who needs no introduction. Other local musicians will be appearing including a choir, the trumpeter Stuart Brain, Ann James, clavinova and even the Revd. Dennis Parry, who is a fine cellist and recorder player. Have you ever wondered why villages like Huntington look so different from Eardisley and Weobley, even though they are so close? Why do the neighbouring Black Mountains and Hergest Ridge have different soil? And why are there quarries around Old Radnor mining different stone? Dr. Geoff Steel, an eminent scientist and one of the best-known residents of Huntington, has another passion – his love for the area in which we all live. He will give an illustrated talk on the fascinating rocks of which it is composed and the processes by which they change, revealing how geology has shaped our agriculture, buildings and transport for centuries. Here is a chance to learn about our environment with its ancient history and fascinating stories for everyone with an interest in both land use and landscape - from the formation and composition of soil we farm to the origin of the rocks we mine and the hills we climb. This will be an unmissable evening, told by a respected and most likable friend.